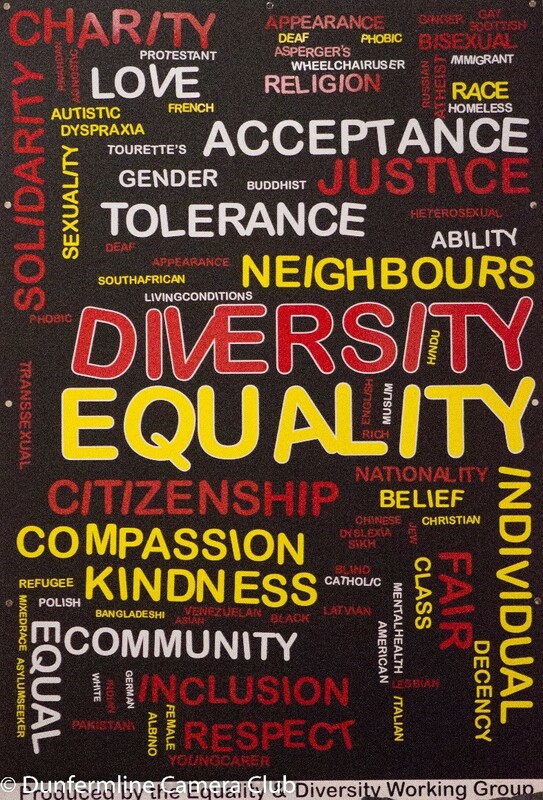 Glenrothes High School hosted a half day event for S1 and S2 pupils to raise awareness about equality and diversity on the 10th of March 2017. Fife Centre for Equalities (FCE) were invited to help plan the event and deliver workshops on the Equality Act 2010 and what it means for pupils. The mission of FCE is to build a collective voice to champion equality, diversity, inclusion and social justice. We aim to provide high quality practical guidance and support to everyone here in Fife. An event such as this gives us the opportunity to make people aware of the relevance of the Equality Act 2010 to individuals and that they can be part of making Fife a fairer and more equal place to work, live or study in. Individuals feel respected, safe and have the freedom to lead a fulfilling life where they live, work or study. Third, public and private sector organisations demonstrate best practice in equality, diversity and inclusion. FCE is recognised as a centre of excellence for championing equality, diversity and social justice. FCE became involved in the development of this event in January 2017 where we provided a list of contacts for individuals and organisations that may want to participate in the event. Supported the development of the event by participating in the planning group. Developed and delivered a foundation equality and diversity workshop.